And some thoughts on real food and simple pleasures of home cooking. Being a true foodie, discussing techniques of playing with the ingredients. Respecting food. 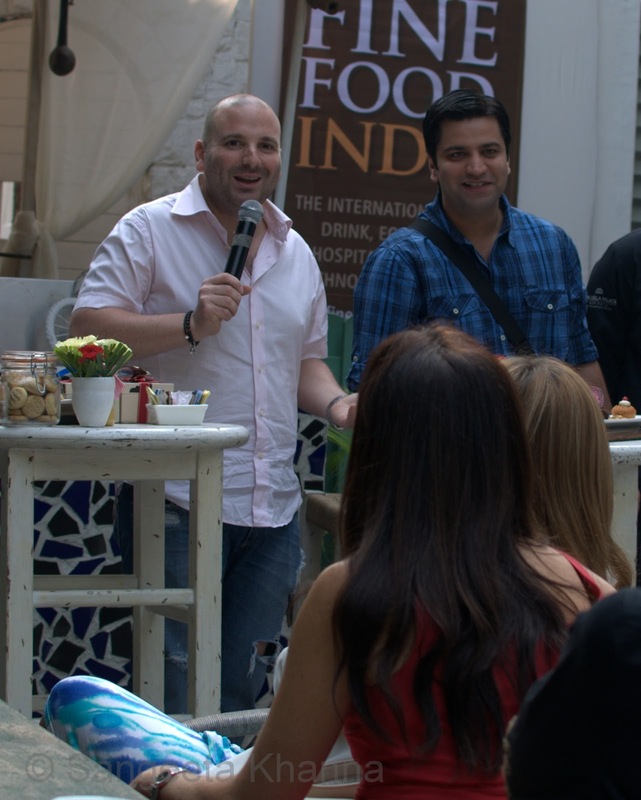 Master-chef Australia has been a phenomenal food show that has captured imaginations of millions across the globe. 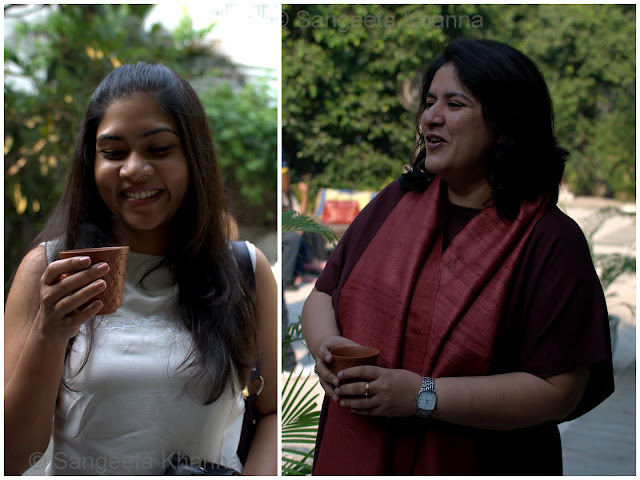 The imaginations and aspirations of the foodie kind. We have all seen the finest of gadgets, the widest range of ingredients and the most passionate people cooking on our TV screens. We have prayed for them with bated breath so they win a particular challenge. And then there were those affable judges who would encourage the participants and often help them to get across a particular challenge. The show has been something that would make you go straight to the kitchen after your eyes peel off from the TV screen. A show that inspires people to cook their own food, as I wrote in the post sometime ago when I was invited to write an article for Masterchef Australia. 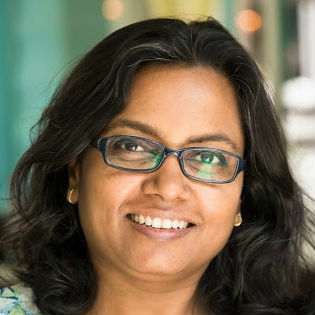 I was amazed, wide eyed and glad in my heart that the food philosophy that we follow at healthfood desivideshi is the mantra of the people who influence millions of viewers around the world. We want more and more people going for real food isn't it? 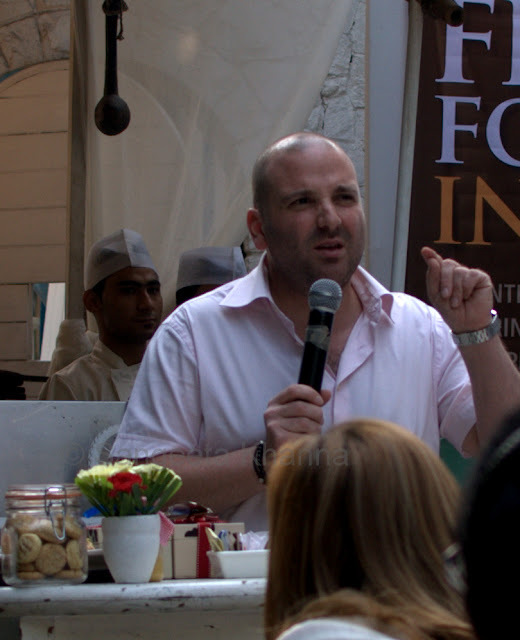 I had little idea that was to witness how the philosophy of growing food in your backyard and real home cooked food is actually being propagated through the makers of the show when Astha Mittal called me one day asking if I can come to a relaxed breakfast with George Colambaris and Gary Mihigan at Olive Beach. It is a breakfast starting sharp and 9 AM and the venue is Olive beach and not Olive Bar and Kitchen she repeated. 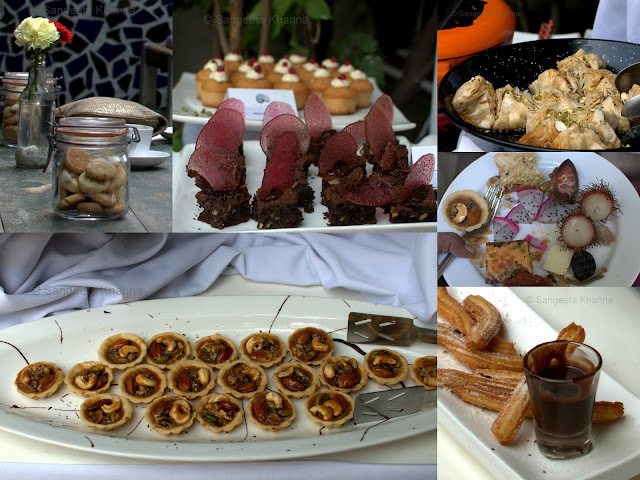 I took some time to register as my mind was being clouded with the thoughts of a relaxed breakfast with the MCA judges. Was it for real? 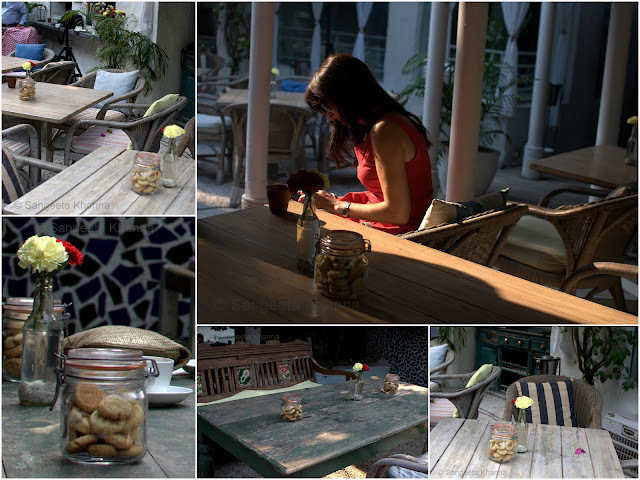 A relaxed breakfast sounded too dreamy considering the ambiance of Olive. I sad yes and then realised the duo had already taken India by storm. They were in all major newspapers and our countrymen were going all mad about an English language food show. Such is the magic of a show that connects people. Unfortunately, Gary couldn't make it to the breakfast at Olive beach but George didn't let it dampen the spirits of all of us present there. He talked about how creating food is an act of instant gratification, how it makes happiness tangible when you see the person eating the food burst into a happy smile. We found everyone nodding. All the Chefs of Delhi were there listening to him keenly, including Kunal Kapoor of Masterchef India who had come with his wife. It is wonderful to see people who have become icons and still are so grounded in reality. He accepted a few small gifts that people had brought for him. Kept us all in splits by telling funny stories about Matt and others. How being a Chef and food critique is different. And how food is a personal choice. How Matt loves his mashed potatoes with Duck fat while others might like it with cream or butter. It was nice to hear him say that he loved the Indian breakfast dish Jalebi and was amazed to know that Lacto fermentation was a traditional technique in India which the west is recognizing and adapting now as a source of probiotic food. He said he is keen to create something similar to Jalebi when back to his own kitchen. I got thinking of a Jalebi pancake myself. Arvind will get a surprise very soon. But all this happened later in the morning, I am too impressed with George to tell you all this first. The first thing to happen that morning was falling in love with a green islet called Olive beach. 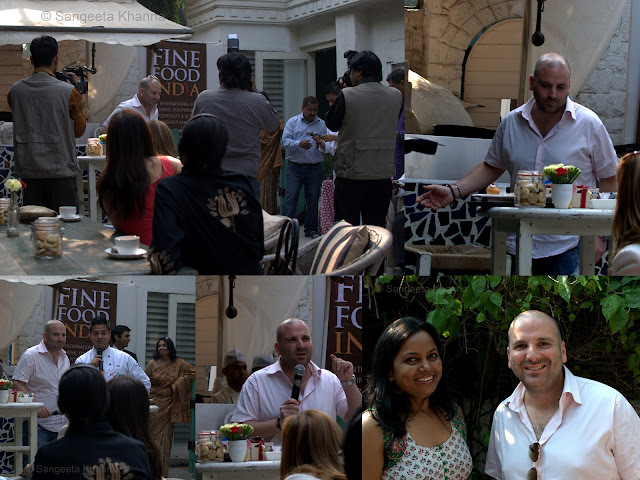 Thanks to Chef Saby (one of the best Chefs of India) for having us over for this wonderful experience. And then there was the orthodox tea as well served in china. I could see and taste Tea blends from Manjhi valley there. Though I caught the orthodox tea girl sipping the masala tea as well. The charm of a terracotta kulhad I would say. 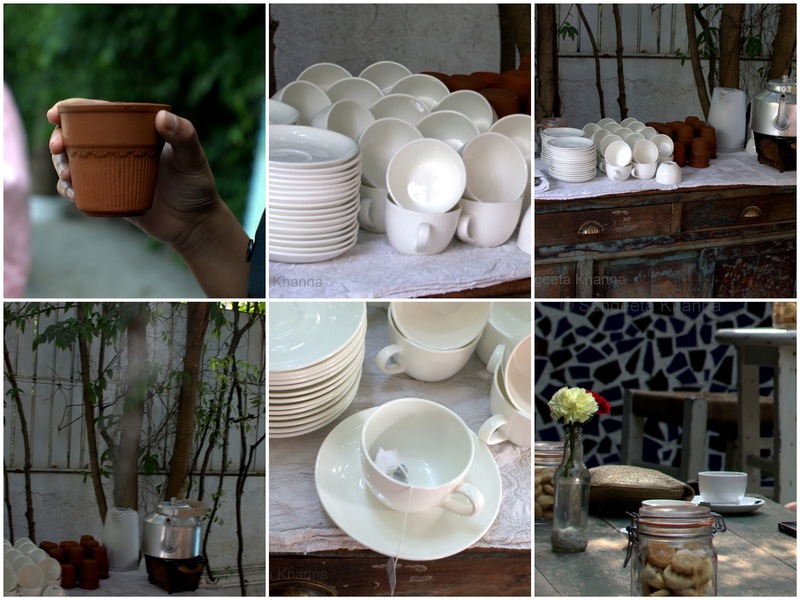 I fell in love with this tea stall arrangement at Olive beach. Can you see that steaming kettle in the picture? Perfection personified. 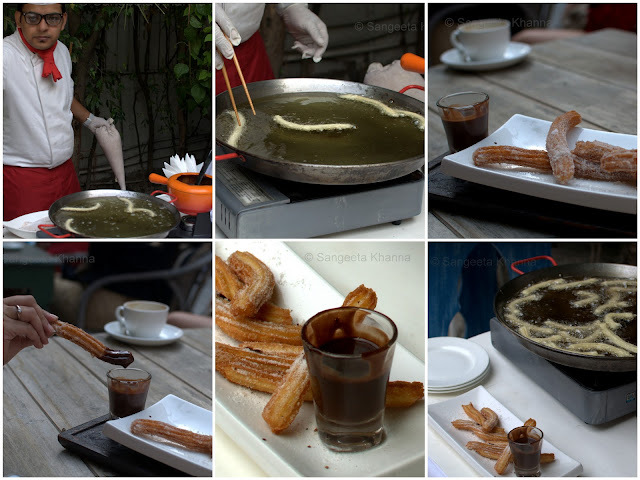 And then there was this Chef Sumit Jasuja who kept on frying Churros lovingly till the very end. The yummiest of them, coated with cinnamon sugar and dipped in dark chocolate sauce. Olive has a signature coziness, be it the historical villa at Qutub or this beach style restaurant in the heart of Delhi, the ambiance at Olive is unmistakably cozy and serene. I love everything about this place. Aesthetically done and passionately run. The food as usual is always great at Olive. See the beautiful desserts. A chocolate fudge cake topped with a paan candy crown, a mixed nut tart, Almond financiers and Baklava apart form the unending supply of Churros and an exotic fruits platter. The desserts are visual treat, I can'r have much of these but the sweetest or Mangosteens and Rambutans were enjoyed to the fullest. There was more food which I didn't photograph as I was eating that. Elaborate cheese platters, Bruchettas of different types, spinach and ricotta puffs and many more. The desserts were clicked when I was finished with my breakfast. The day started well, some food for thought, some thoughts on food and all things good. Meeting blogger friends, talking about the things that are most fascinating for us and then saying good bye to meet again.. I am really very very jealous ;) but thank you for sharing such an awesome experience! I've been a lurker on your blog for a while now,and I keep thinking that someday soon Im going to try out your recipes,which is why I havn't commented yet. BUT this post is just too....WOW!!! You met George!!!! Jokes apart, welcome to the blog and I hope this is not the last time. Beautiful written and posted Sangeeta. It's heartening to know the real food from Earth is finally being heard out loud. When it comes from influencers like the MasterChefs, everyone sits up to take notice. It also feels good that folk like us who believe in local, seasonal, natural and from scratch were on the right track all along! Thank you Deeba. A complement from you is always cherished. Yes I agree, MCA is a huge influence on people and I am so glad they are being heard, I hope and wish that the message comes across in practice as well. At the same time, what we were talking as real and whole food believers,came from a firm belief, always knowing we were right. It's great to see the idols talking and propagating this philosophy. Our voices hopefully will be taken seriously by more and more people that to MCA. I am immigrating back to india.. I mean you get to go to such good places I ma sure I can Tag along to at least one of these or gate crash tooo ..
Hey Girl..WOW...!!!!!!!!! 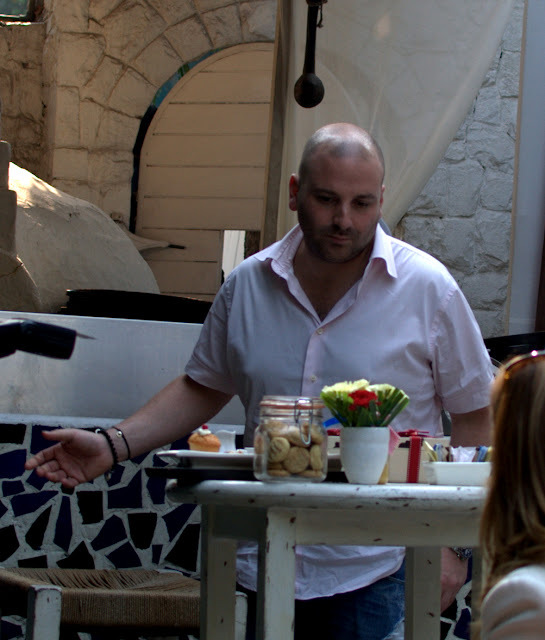 I mean u MET George Colambaris...How cool is that..!!! you are so lucky.. so you did go to this event.I am so proud that you were invited to this event which was by invitation only. Goes to say you are such an influential blogger!! beautiful written post Sangeta and looking at all the phots .. i so envy you right now :)!